Good morning! It's bright and sunny here in Edinburgh today, so maybe I'll get to do a little reading outside later on. I have one book this week, but I'm very excited about it. 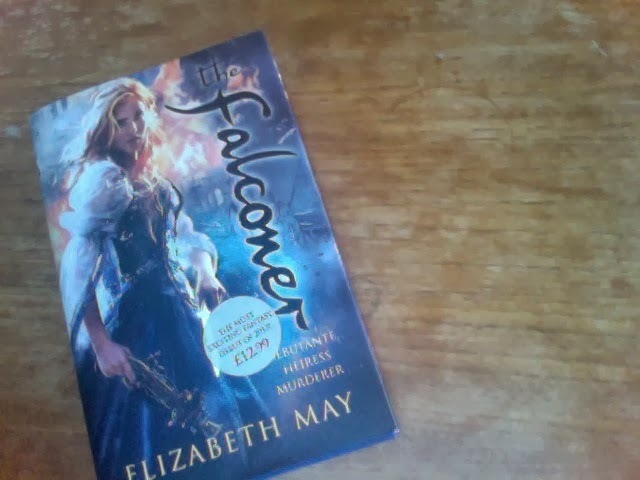 The Falconer, by Elizabeth May. Isn't this a cool cover? Description: Lady Aileana Kameron was destined for a life which revolved around Edinburgh's social events - until the moment a faery killed her mother. Now, between high society balls, Aileana slaughters faeries in secret. Every night, armed with modified percussion pistols, explosives and a killer instinct, she sheds her aristocratic facade and goes hunting. She's looking for revenge, but she'll kill any fae that crosses her path. But there's another battle looming - one her mysterious mentor, Kiaran MacKay, won't even talk about and it has world-altering consequences. Aileana will have to decide how much she's willing to lose - and just how far she'll go to avenge her mother. I started paying attention to this book when I heard the author was Scottish and that it's set in Edinburgh - it's always nice to see 'home grown' authors, and I love stories in settings I'm familiar with. When they started releasing teasers (you can read chapter one online here), it seemed like the book might live up to the hype. I can't wait to dive in! 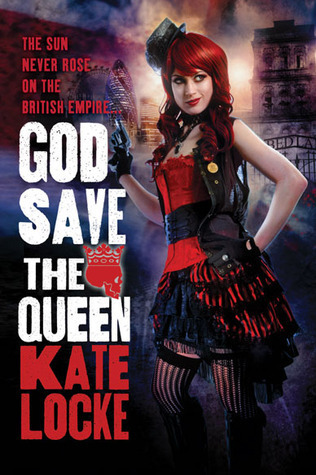 If you missed it, the other day on the blog I reviewed 'God Save The Queen' by Kate Locke. 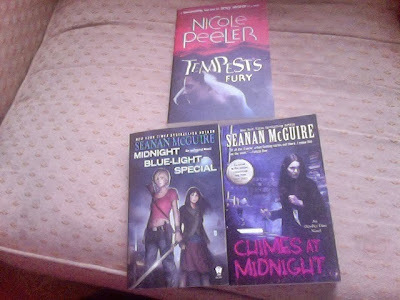 Look out for my post tomorrow about Seanan McGuire's 'Midnight Blue-Light Special'. How about you? What books did you get this week? Description: London, present day - and Queen Victoria still rules with an immortal fist. She's the undead matriarch of a Britain where the Aristocracy is made up of werewolves and vampires, where goblins live underground and mothers no better than to let their children out after dark. A world where technology lives side by side with magic, where being nobility means being infected with the Plague (side effects include undeath) and Hysteria is the popular affliction of the day. Xandra Vardan is a member of the elite Royal Guard, and it's her duty to protect the Aristocracy. But things get complicated when her sister goes missing. Xandra will not only realise she's the prize in a dangerous power struggle - but she'll also uncover a conspiracy that threatens to topple the empire itself. My thoughts: As a general rule, I love steampunk books, and Kate Locke's 'God Save The Queen' continued that trend for me. The story begins with Xandra asking some dangerous people (the goblins) for information about her missing sister. Right from the start, the world-building was really well done, little details being explained quickly enough that I could build a good picture in my head of how things worked, without it ever feeling like "info-dumping". I enjoyed Kate Locke's interpretation of vampires and werewolves. Through the many waves of plague that came to Britain, human DNA mutated to fight that, and the people who have this stronger DNA become either vampires or werewolves. Interestingly, it's mostly the aristocracy who carry this, so humans really are the bottom of the pecking order in this country. Although there is a small romance thread with Vex, the romance itself is not a big part: instead, it gives Xandra one more person she has to figure out whether she can trust. He assures her that he's been interested in her for a while and not just because of what she is, and so far we as readers have been lead to believe that. However, I'm still a bit sceptical about what he sees in Xandra and why he had noticed her before the events of the book begin. I hope this is something that will come up again in the second book of the series, so that we might get more reassurance of whose side Vex is on, and what he likes about Xandra. There are lots of twists, and many problems for Xandra to overcome. There is one thing about 3/4 of the way through the book when she finally understands something about herself and puts together all the things she's seen that I think was a bit overdone. It was something I'd realised much earlier on, and I find it hard to believe that Xandra took so long to make the connections when she'd lived with these world rules all her life, whereas I'd been reading about them for just a few hours. Overall, I enjoyed this quick romp through 21st century/Victorian London, and I'm looking forward to reading the sequel. I give 'God Save The Queen' 7 stars. 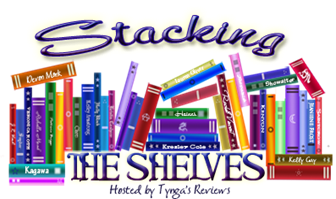 Another week has gone by, so it's time to look at the new books again! I haven't bought anything myself this week, and unfortunately I was ill for a lot of the time, so I didn't get the reviews written that I wanted, but that just means I'll have more to post about this coming week. Although I didn't get any myself, my boyfriend sent me three books from my wishlist that I'm really looking forward to reading. 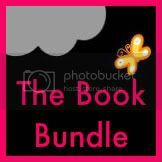 Title links go to Goodreads. 'Tempest's Fury', by Nicole Peeler. This is number 5 in her 'Jane True' series, about a girl who is half selkie. I have the first 3 on audiobook and they're my 'comfort listens', for when I'm sick and stuff like that - I'm really excited to read about what's next for Jane and her boyfriend Anyan. 'Chimes At Midnight' by Seanan McGuire - 7th in the 'October Daye' series. This one came out at the start of the month, and I really want to see what happens to Toby. Despite being definitely an adult, she did a lot of growing up in the last book, and it'll be interesting to see how much of that she's managed to hold on to here, and how the events of the last book have affected her. Even with strong plots in all of them, I think this is a very character driven series. So, I'm very excited about all three of these books! How about you, what did you get this week? I mentioned Magic Rises in my last LL/StS post, which was actually a while ago, but I've been spending a lot of time with my boyfriend this past month, so had very little time for reading, and even less for blogging. But, I do have two print copies and one ebook. As I mentioned in the video, I've been trying since March to do a little vlog every day. I've done rubbish at it, but there are more videos I just haven't uploaded yet. If you're interested, it's here: The Vlog Project. The books mentioned in the video are Beyond Pain, by Kit Rocha; God Save The Queen, by Kate Locke; and The Great British Bake Off: How to Bake.